You maybe have noticed that the past few days, the International Skating Union (ISU) was posting on their social media about skating costumes! 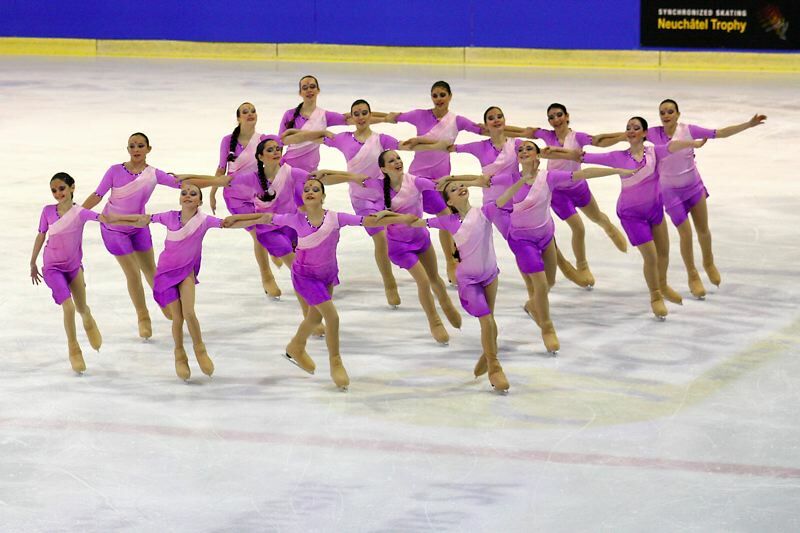 Let's take a moment to speak about costumes in synchro. Synchronized skating means everyone has the same costume! Well, it isn’t always true! Of course, most of the teams have the same costume for their program, but sometimes teams play with shapes and colors! If the theme or music allows it sometimes the team is divided into two: for example, Team Surprise (SWE) in 2010 with half of the team as robbers, the other half as police officers! More recently, it was an angel and demon battle for Team Berlin 1 (GER), the costume was the same for all, but half of the team was in white and gold, the other half in dark grey and red. 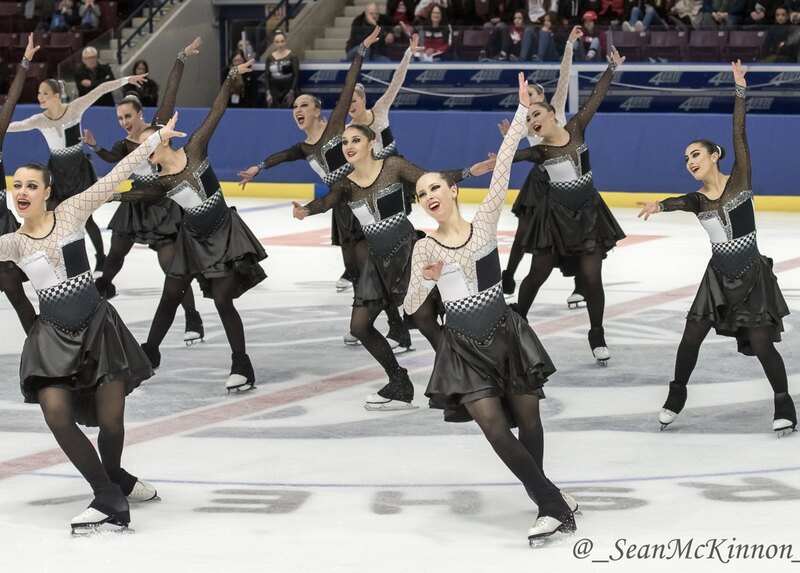 This past season, Les Supremes Junior (CAN) skated to “Checkmate”, with some skaters with white sleeves, some with black sleeves, to represent the chess pieces. Still about colors but this time all mixed! In 2012, Team Surprise skated to “Moulin Rouge”. 16 skaters, 8 colors. 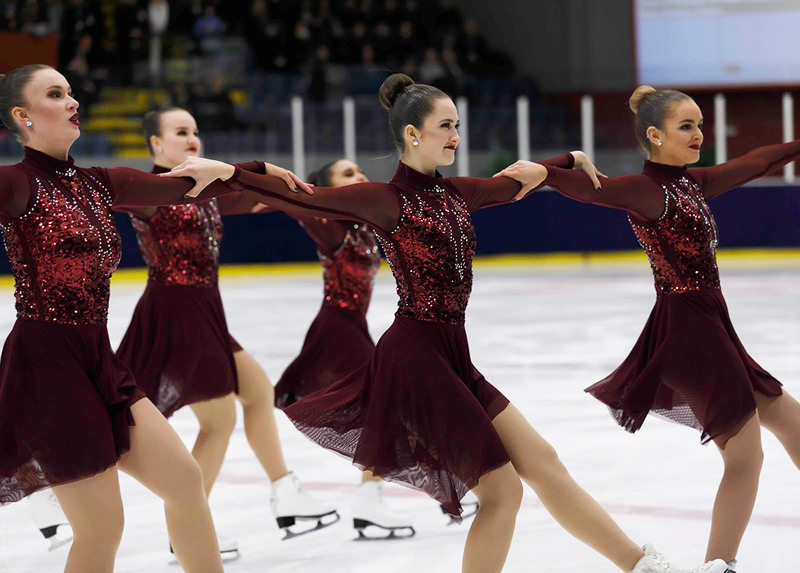 Lately, Nexxice (CAN) has innovative free skating costumes: in 2017 one skater was wearing a fully black dress where the 15 other skaters had a red to black fading dress. This past season it was four different shades of blue, with four different necklines. Synchronized skating is a mixed sport so there are women costumes and men costumes! In this case, it can be different considering the theme or music chosen by the team. Men can have the same costume as the women skaters (except maybe for small details) for example, Les Zoulous’ (FRA) short program “Monster Circus” in 2016. Men can have a masculine version of the women’s dress: Team Boomerang’s (SWE) 2018 short program for example, where women had no sleeves and a very detailed neckline, the man had sleeves and a closed collar but with the same details as the women’s dress. Or they can have a totally different costume. 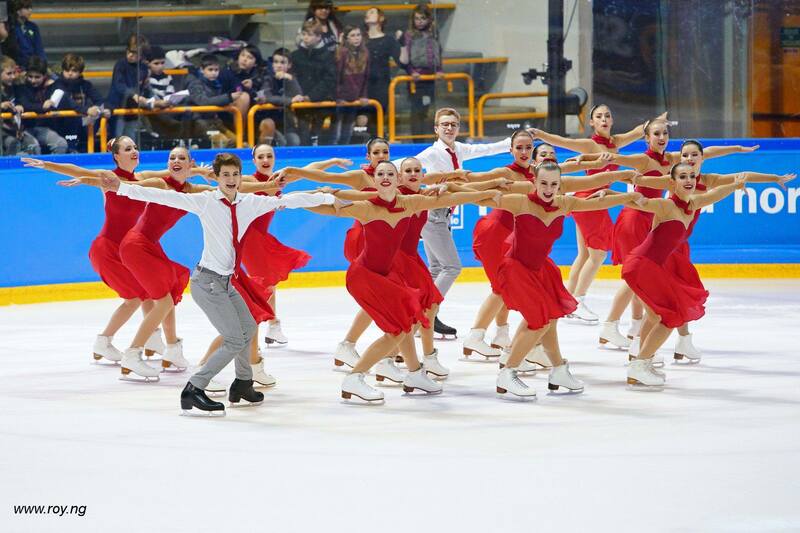 That’s what Team Jeanne d’Arc (FRA) did for their “La La Land” short program (2018), where men wore grey pants, a white shirt and a red tie, red being the color of the women’s dress. This year at World Championships in Stockholm, a color was used more than others… Seniors had a crush on blue! Not less than 13 teams out of the 25 competing wore blue either for short or free program. Whether it was a light blue like Jingu Ice Messengers (JAP) or a stronger shade of blue as Hot Shivers (ITA) it was THE color of the season! 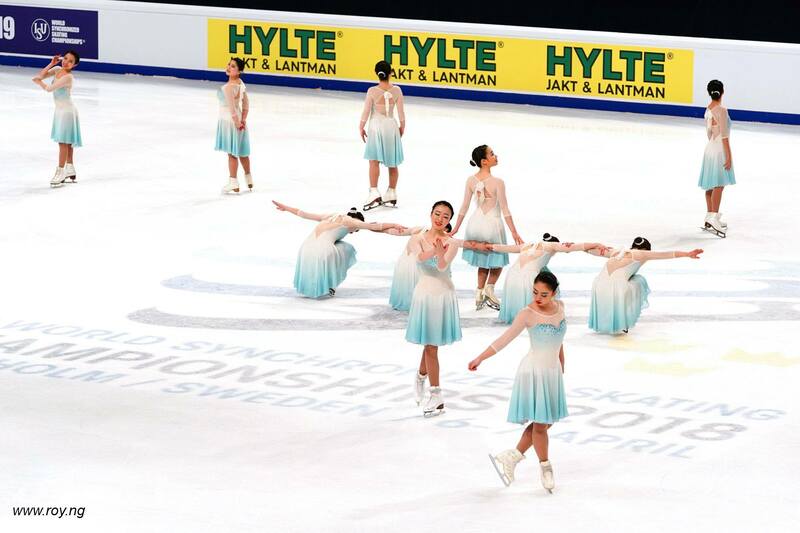 A special mention for Skyliners (USA), skating with a light blue costume for the short program and with a darker blue for the free skate! 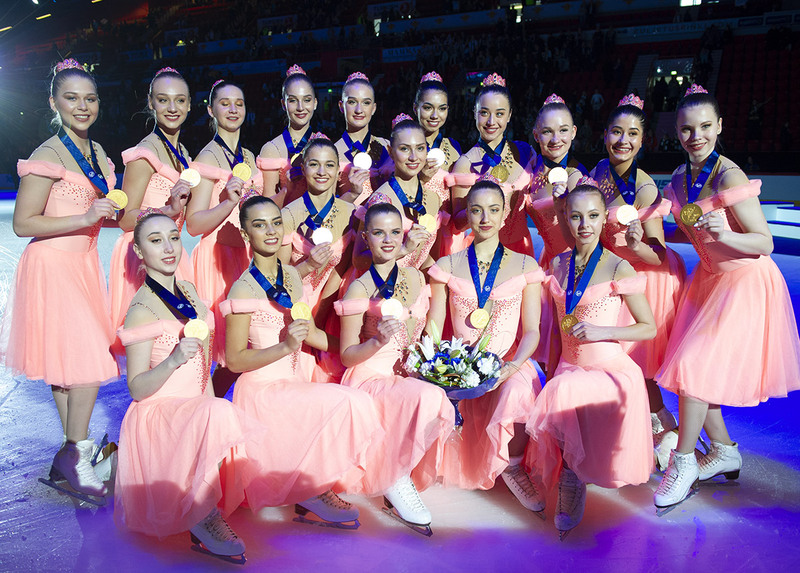 We can also mention, in the junior category, the colorful season of Team Fintastic, skating in a bright orange for the short program and a bright yellow for the free skate! Just like a vitamin shot! What are your favorite skating costumes? Which ones you thought were unusual, noticeable? What was your first skating costume like? Here’s mine, when I was skating in the novice category, in 2008. We were skating to “Devdas” soundtrack. I’ve been skating synchro for 10 years now being a part of different teams in my club. Since 2012, I skate with Zoulous and I had the opportunity to participate in 4 World Championships. Last year, I was responsible for news about my team on a French online blog. The goal was to speak about our competitions. 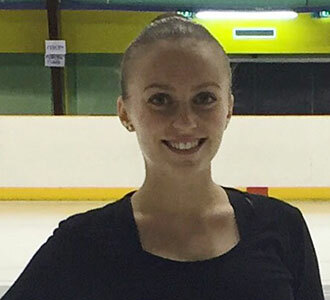 Quick info about me: I’ve always been one of the smallest skater in my team !